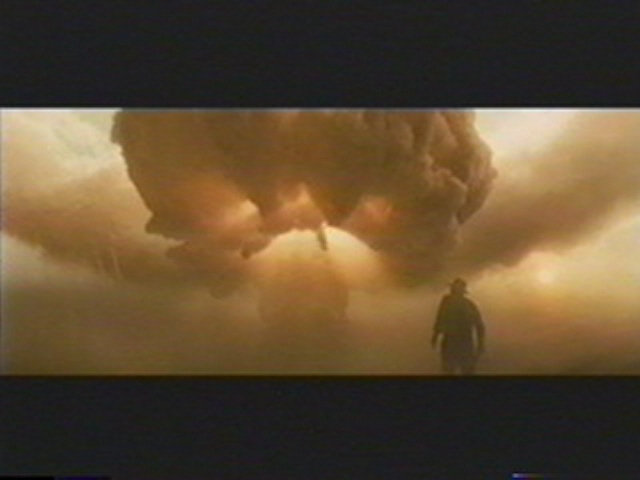 Two images frame the Fourth Indiana Jones movie, and these are not accidental. Near the beginning of the movie, we see our hero looking out at the height of human accomplishments, the exploding atomic bomb. It is a testimony to human folly that so much of our efforts as a race goes into finding ways to kill each other. Knowledge is the key theme of the film, the use and abuse of it, and how people mistake gold, power and other things for truth and enlightenment. We have FBI agents who horde knowledge and seek to suppress anyone and everyone who would endanger their control. They keep secrets, and make suspect even the most noble of educational institutions, violating everything that is free about America. On the other hand, we get the ignorant demonstrators on campus who wave banners "better red than dead" even as soviet agents chase our hero right passed them. We get Mutt, who quits school because he can't get access to knowledge he values. We also get the soviets who pursue the skull because they want knowledge to help them dominate the world. 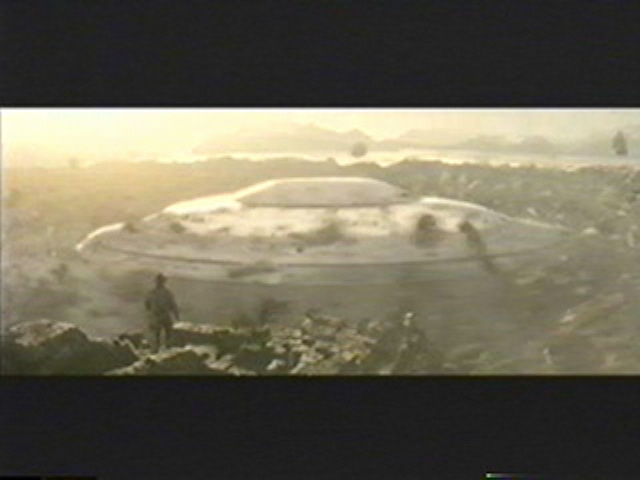 Yet in second image, we see a similar shot of the powerful aliens leaving earth behind, a somewhat disappointing situation since they had much to offer and it appears human kind is not yet ready. These two images haunt me each time I see the movie because they form perfect bookends to the unfolding plot, telling us that knowledge can be used for good or ill, and that each person has to make a choice.